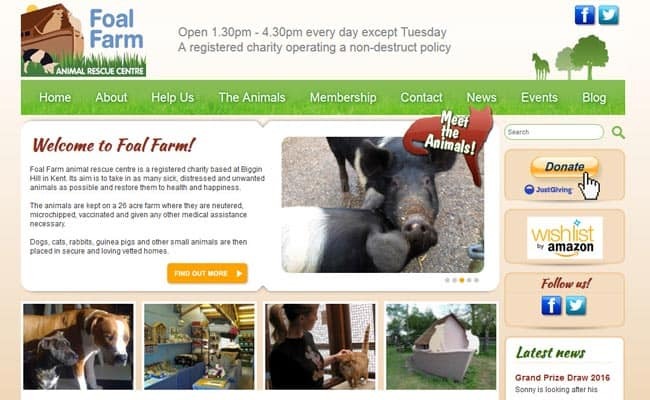 Foal Farm Rescue Centre, Biggin Hill – Foal Farm animal rescue centre is a registered charity based at Biggin Hill in Kent. Its aim is to take in as many sick, distressed and unwanted animals as possible and restore them to health and happiness. The animals are kept on a 26 acre farm where they are neutered, microchipped, vaccinated and given any other medical assistance necessary. Dogs, cats, rabbits, guinea pigs and other small animals are then placed in secure and loving vetted homes.